What method do you recommend in cleaning emeralds with cedar oil? I am one if the May Birthday girls you mentioned in your article. As a child I hated my birthstone, but my Dad bought my 1st birthstone ring when I was a early teen. As I grew up I learned to appreciate the beautiful stone. Of course, by then they had become very expensive. I now have 3 emerald rings, one with a .95 point emerald cut emerald surrounded by many diamonds. It was purchased when we lived in Hawaii (Military). My husband had it custom made after the first setting literally fell apart. Extra diamonds were also added to the new setting. For my b-day & Mother’s day this year he purchased an emerald set for me. 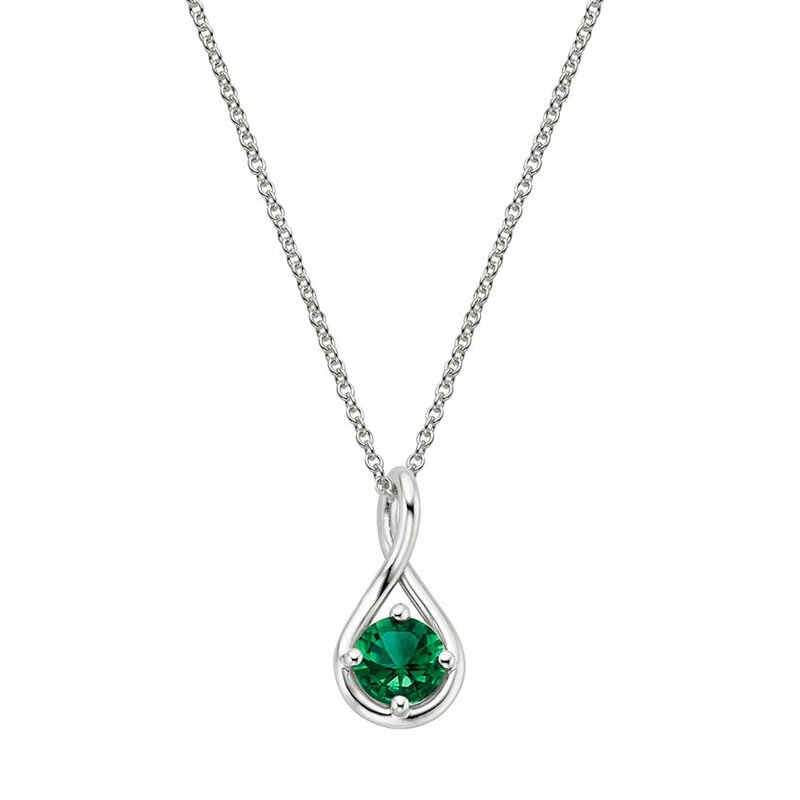 It includes a gorgeous emerald pendant necklace and earrings. The emeralds are all emerald cut with small diamonds at the top. 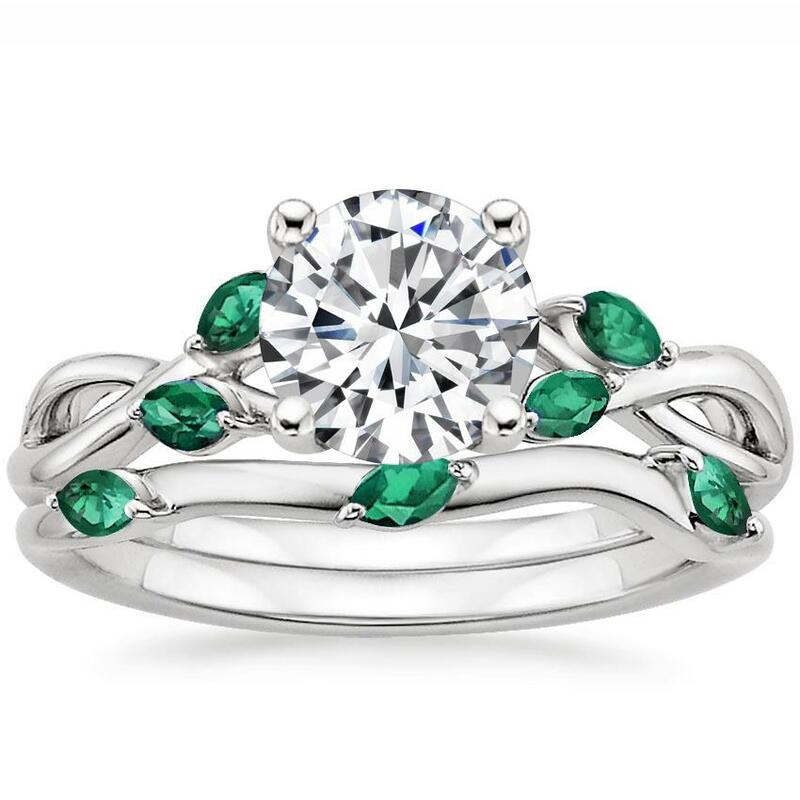 I also have a wedding band style ring with many small emeralds, & a oval cut emerald surrounded by diamonds. I have 2 emerald bracelets, the 1st I purchased myself, & the 2nd was given to me several years ago by our oldest son. Both bracelets include diamonds. One is white gold & the other in yellow gold . For my birthday & Mother’s day of this year my sweet husband of 45 years got a 3 piece set which included a necklace and earrings. The stones in the set are all A quality with gorgeous color & clarity. They are all emerald cut with diamonds. They have a ‘A’ quality rating. I also have 3 more pair of emerald earrings, in the 1st pair, I purchased the stones loose while on a cruise that included a stop in Mexico. I had them put in a simple mounting. The 2nd pair are very simple in a plain mounting. The 3rd pair I received from my son & daughter-in law several years ago. They are a small hoop style with 3 emeralds & 2 diamonds on each earring. You might say I’m pretty well set when it comes to emeralds. I enjoyed the article about emeralds and the history behind them. I was born January. I have one small emerald ring. I plan on getting a set. Hoping it will bring me love and luck. Hiya! My b-date is May 21, 1950, and I have the most beautiful emerald ring ever in the world!!! I got it out of a Cracker Jack’s box as my surprise!!! And, it really looks real!!! God bless, ya’all!!!! My birth date is May 19th, the date of the Royal Wedding. I own a very old Emerald Ring which I bought when I first started working, many years ago. 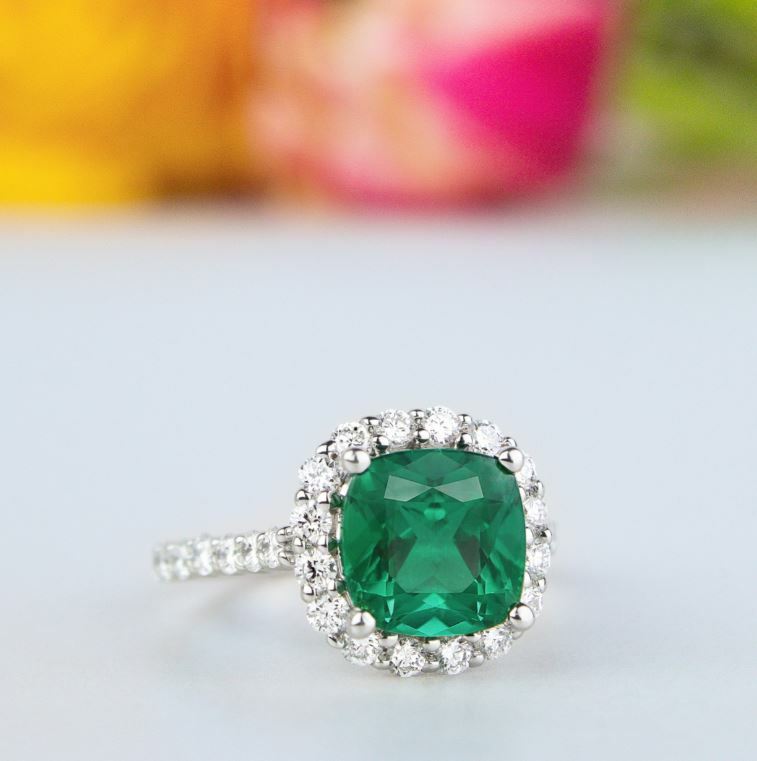 I would LOVE a new Emerald Ring, Emeralds are a favourite for sure! May 28th and I own two beautiful emerald rings! One of my favorite gems. 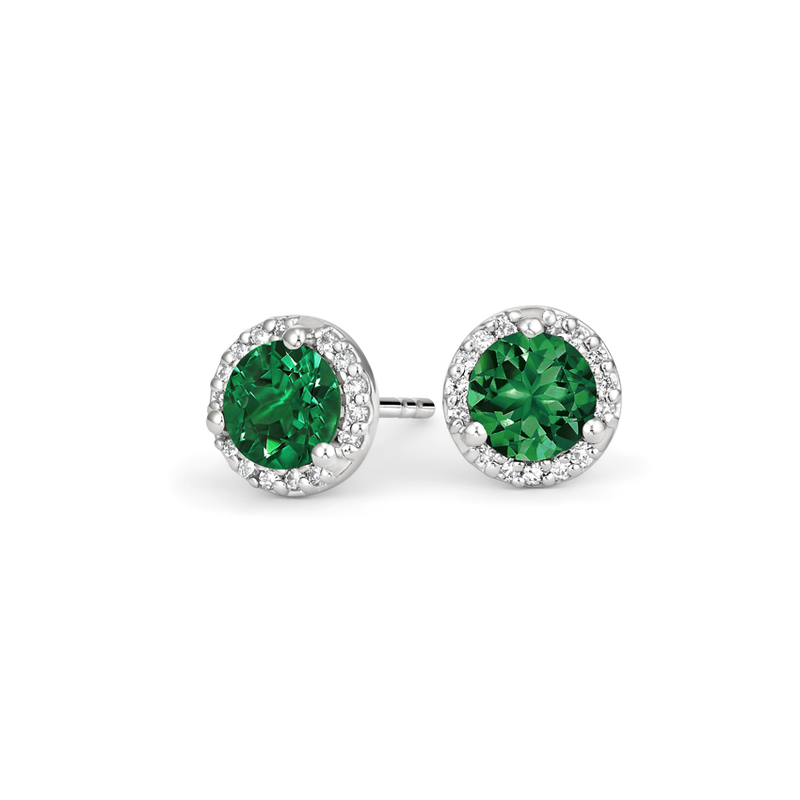 My birthstone is an Emerald, I would love to have one and hopefully someday I will. I was born on May 4th so I am an Emerald girl…I love the stone and I love May, such a beautiful month! I have 3 rings, and beautiful earrings, ,my next is going to be a BRAZALETE that eventually will come one of this days. I am a maygirl, may 8th 1968. I think emerald has got to be the prettiest gem of them all. I’m A May Birthday Girl. May 28th. I do own an Emerald Ring. I was born in May and have always loved emeralds. I have nurmous rings, earnings, and necklaces. The piece that I love the most is a Jackie Kennedy’s necklace that my husband purchased for me for our honeymoon. It is just so beautiful. My hope is that one day we will be able to purchase another piece from her collection. I’m a May baby from way back. Im a May girl…May 5.. I at this time don’t own a emerald ring lost mine…been heart broken ever since. .but think it may be a great Christmas gift to myself. ? I’m a may baby! Trish g (whoever that is her name is next to the comment submit thing) said something on may nineth! That’s mah b-day!!!!! I’m a May Emerald girl! Cant wait to own a genuine emerald stone one day! I admire & love emeralds! My b-day May 24th 1954 and a Victoria Day girl feeling so regal! ? Yes I’m a MAY BIRTHDAY GIRL. I do have a Emerald. And I love my birth stone. …Thanks for asking . Love the Emerald . Don’t own own one yet . Birthday May 16 1944. They are beautiful!!! I too owned a beautiful emerald ring from a store that use to be called Jessops however, it was given to me as a gift ? for, a baby shower gift. I took it in for a cleaning and they removed my stone only to replace it w a fake:( my heart was saddened. Never replaced it. May 11th is my birthday and I do have emeralds in some of my jewelry including some rings. I hardly wear them. Not much of a jewelry wearer. What about us may guys? I love emeralds too! When I was born I was given a emerald ring it is so tiny that it will not even fit on my little finger. At some point I will take it and have it changed into something wearable. It has many lovely memories for me. Sí.Amorè.Yes. Lily-flower, Name to Angelicize in month. Fan of Professor Angelina Joliet. ? I am a May Baby born in May 22, 1953 born in Barranquilla, Colombia SA and Emeralds has bee part of my entire life. I love them and I keep one on my finger at all times. I have ratings and also a pendant. I do own several Emerald rings. I myself am a May Birthday girl., and own three emerald rings and one set of emerald earrings. I love them and the will pass them on to my daughters. In my time comes so they can enjoy the beauty of an emerald. It has brought me long loving life and happiness. And hope to buy apiece to put on my 18′ chain, to show the beauty to everyone. Yes, I own a Emeral Ring. My birthday was May 13, 1939 It is beautiful. My mom & I are May emerald girls!! My mom’s fav color is emerald green, she has passed and I now am honored to wear her beautiful emerald & diamond heart pendant. Which reminds me of her love every day. ? luv ya ma ! What are the chances of winning some emerald jewelry. I think because I fell in love with ‘Emerald City’ in ‘The Wizard of Oz’ I fell in love woth emeralds – even though Im a January garnet girl! Years later I received one from my first real boyfriend as a pre-engagement ring. We didn’t marry & I returned the ring to his mother. In 2007 I met the perfect male for me. He was a Taurus and boasted an emerald birthstone! He passed and I wear a beautoful lab created one in his honor. I absolutely love emeralds and their regal’ness’ & cant wait to own a genuine emerald stone one day!